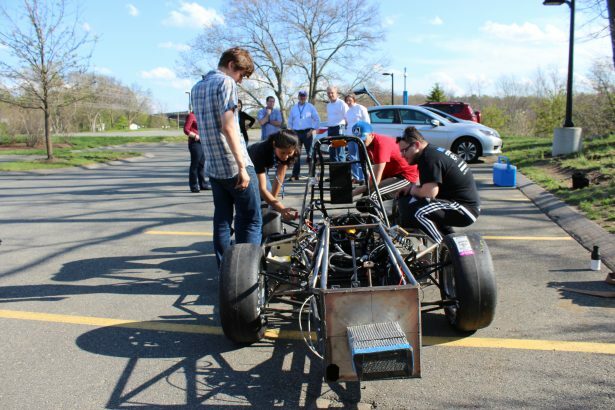 Since the year 2009 the Tufts Racing Team, composed of 25 to 40 students, has participated in the Formula Hybrid Competition in May in New Hampshire. 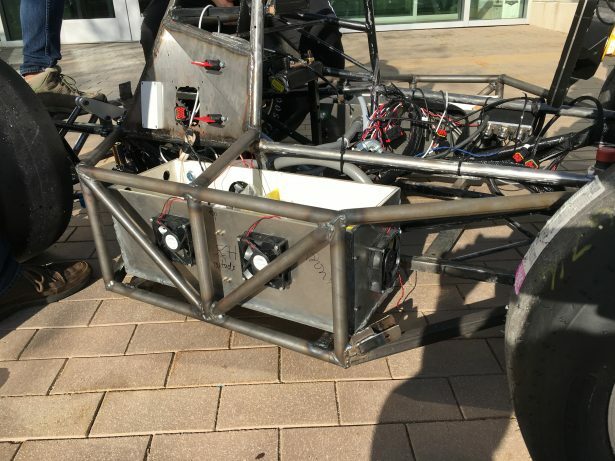 They compete in the All Electric division that requires the design of the entire car, electric drive system, controls, safety systems, and more. This year at the Formula Hybrid event, 21 teams were involved in the completion with 12 hybrids and 9 all electric vehicles to the test. 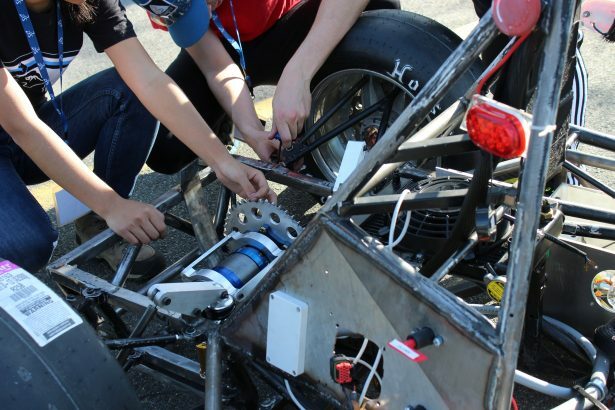 The Off-Track Technical events: First, a design presentation is required, where the students need to explain their design and how it benefits to their car. Next is the business preparation test, where the students have to describe the structure of their team and how they have organized their work. And finally, a complete technical inspection of the car is conducted, involving electrical inspection, mechanical inspection and safety inspection. On-Track events: After passing all the off-track technical exams the team is allowed to move to the next events which are held on the track. 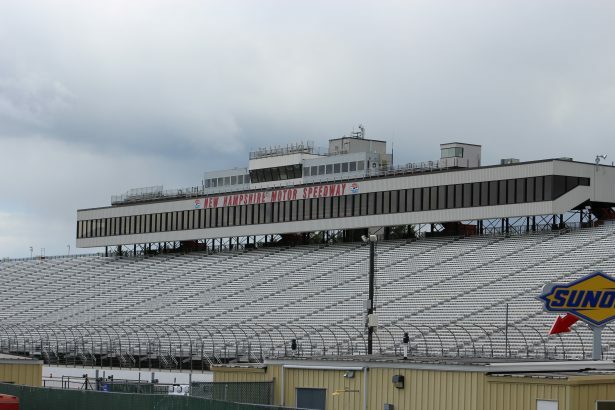 These are composed of three evaluations on the road course: acceleration, autocross and endurance (only 3 or 4 teams have ever finished the endurance evaluation on the track). 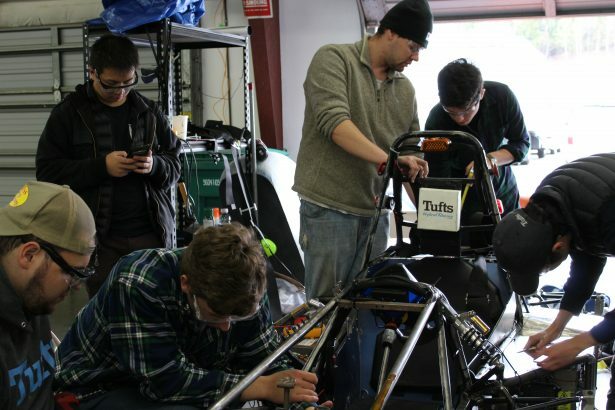 To develop their car for competition, the Tufts Racing team uses many different tools. The first is their work with SOLIDWORKS, primarily in the mechanical area. 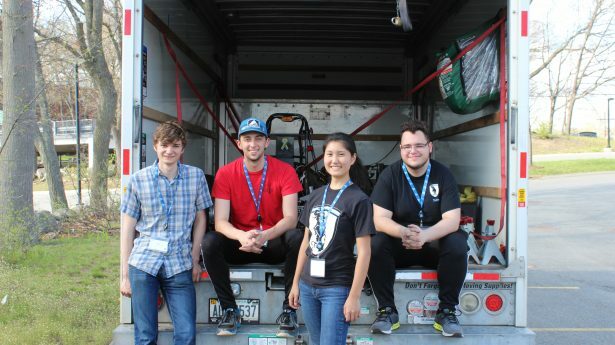 According to Catherine Gao, some of their big challenges involve the overall design of the frame to efficiently package batteries, and other major subsystems and then create the tightly fitting tubes segments (including tube coping) for the frame. SOLIDWORKS is used to complete all this design work. SOLIDWORKS enable teams to design in many details to guide the manufacturing of car components. This is particularly true of Formula-Hybrid car frame structures, which can involve machining or laser cutting methods or more traditional template based, hand-building methods. SOLIDWORKS can support either approach. 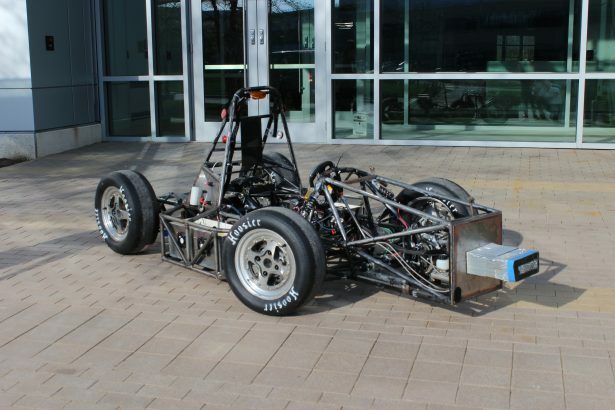 This year, the Tufts Racing Team finished in 5th position in the all-electric category.